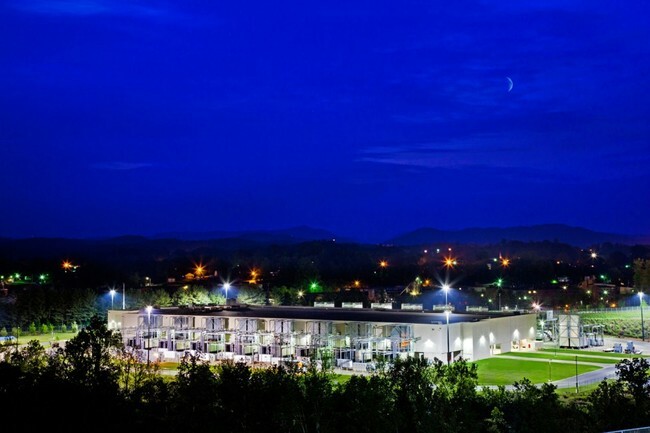 The campus is 183-acres has a 505,000 sqft facility as well as a smaller 21,000 sqft "tactical data center. 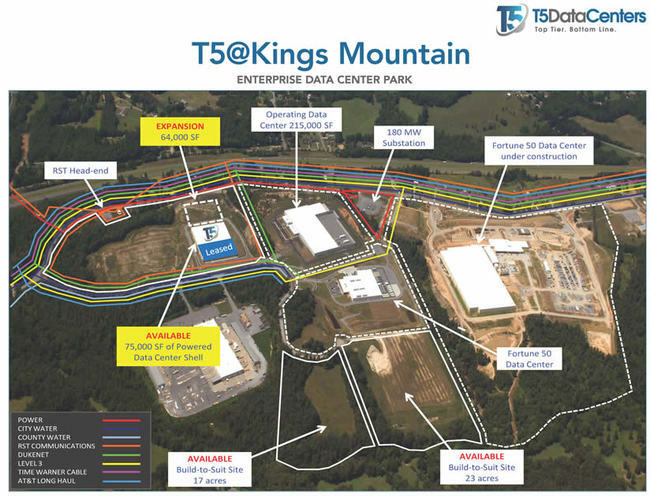 The $200 million data center was built in 2014 and is located on T5's Kings Mountian Data Center Park. 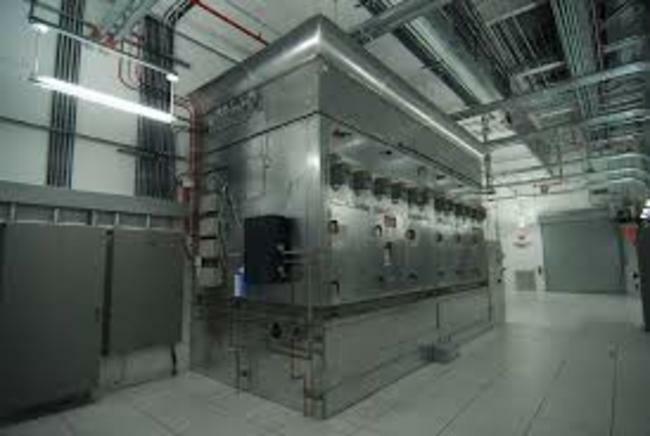 The data center occupies 130 acres. 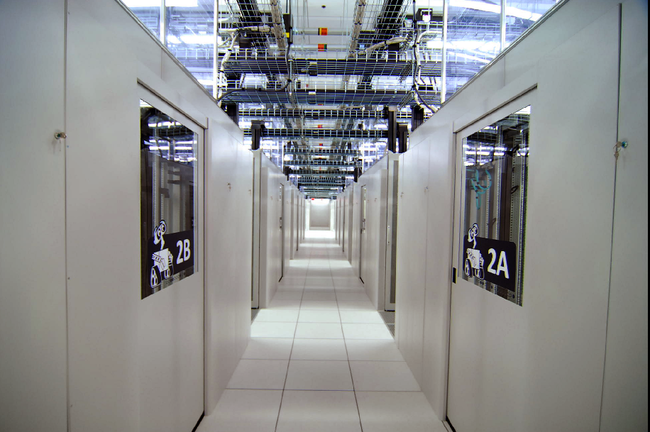 The 14-year expansion plan calls for a total of 900,000 sqft of data floor space. 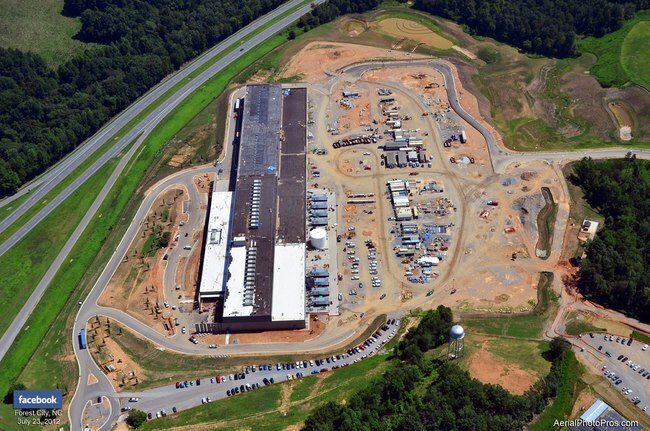 The North Carolina Data Center Corridor is a rural area in western North Carolina that has attracted major data center projects. The NC corridor includes the counties of Alexander, Burke, Caldwell, CatawbaIredell and parts of Cleveland and Rutherford counties. 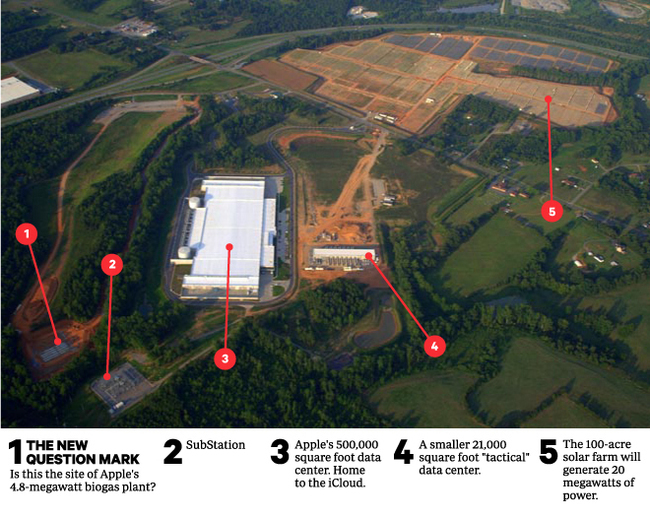 Apple built a three of 100-acre solar arrays adjacent to the company's Maiden NC data center. 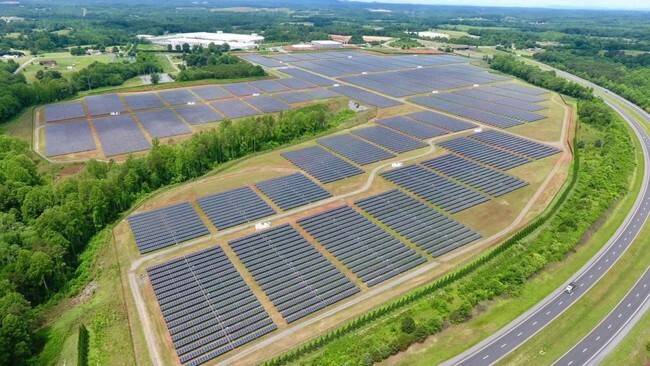 Each solar field will produce 20-megawatts. 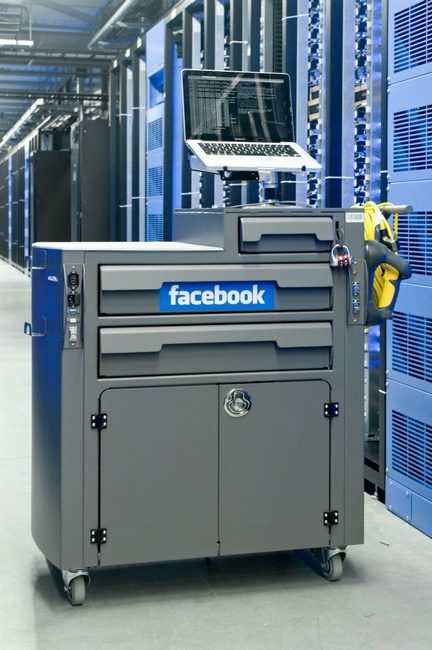 With portable stations, diagnostic functions easily can be performed throughout the data center.